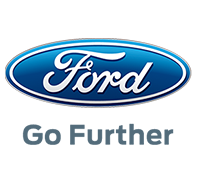 Ford Motor Company has learned that certain derivatives of Focus (1.0L & 1.5L, August 2012 - June 2016); Kuga (1.5L & 1.6L, August 2011 - June 2016); and Transit Connect and Tourneo Connect (1.0L, August 2012 - June 30 2016) with manual gearboxes could suffer a clutch pressure plate fracture, with the risk of fire. Safety is always a top priority and we are acting quickly to address this issue. Affected customers will be notified directly. As a precautionary measure, we are directing affected customers to schedule an appointment with their preferred dealer in order to have a diagnostic test completed. Should there be any evidence of clutch slippage the clutch assembly will be replaced. Any action carried out on affected vehicles will be free of charge. Ford is also working on a software calibration remedy that will detect excessive clutch slippage and warn the driver to take the vehicle to their preferred Ford dealer. When the software becomes available, Ford will notify customers. The software is anticipated to be available beginning in May 2018. We remain committed to providing our customers with safe and high quality vehicles, addressing potential issues and responding quickly for our customers.